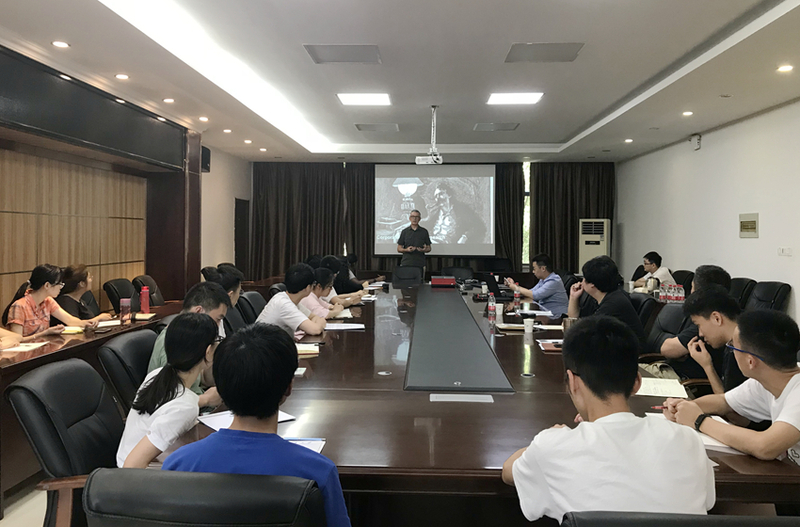 The Second International Summer School of Electronic Information School (EIS), which lasted for one month (July 2-August 1 ), was successfully held recently. We invited five international professors to join us this year. The five international courses attracted 220 students to participate, including undergraduate and graduate students. They had first-hand experience of international courses on our own campus. 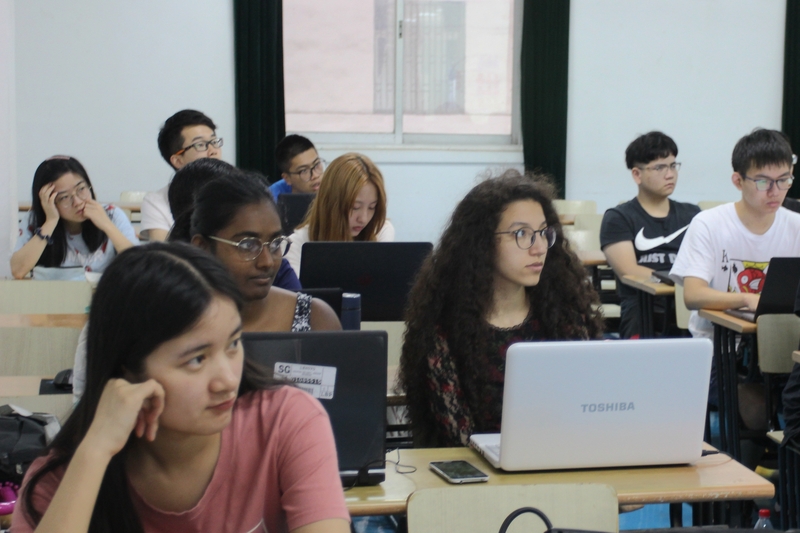 Compared with previous years, the Second International Summer School had some new changes in organization and arrangement. First, the organizational guarantee was stronger. 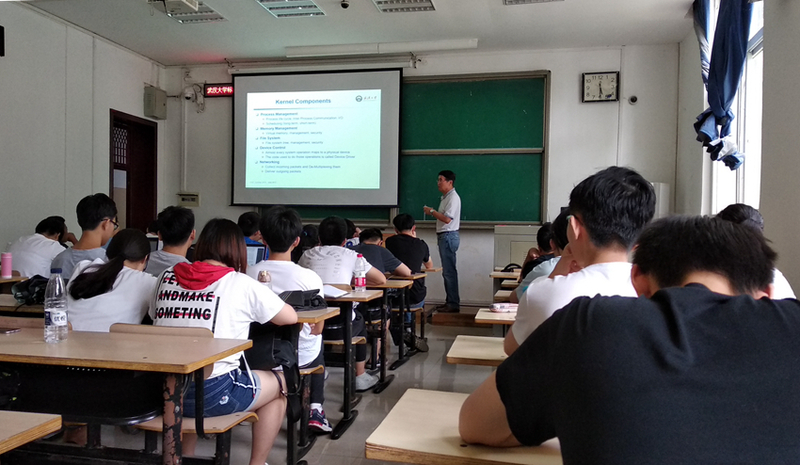 With the strong support of Office of International Affairs and Undergraduate College, EIS has listed International Summer School as the key work of whole year, to ensure adequate protection in all areas, such as staffing, publicity and funds allocation. Our school selected five outstanding young teachers which were fully involved in assisting foreign teachers to work effectively. Secondly, the curriculum was richer. All theses five courses attached equal importance on theory and practice. Combined with current hot topics, they were well related to our mainstream subjects. Thirdly, the student engagement was higher. We had two more international courses this year. The number of students attending summer school increased by 30 percent compared with last year. In addition, two foreign students from ENSEA(École nationale de radiotechnique et d’électricité appliquée) attended our summer school for four weeks. The international courses not only helped our students broaden their international perspective, but also provided a rare opportunity for our local teachers to learn frontier teaching methods. Students who took international courses have benefited a lot. Both our local students and teachers gave a high appraisal to foreign professors. According to their feedback, the advantages of international courses mainly consist of three aspects. 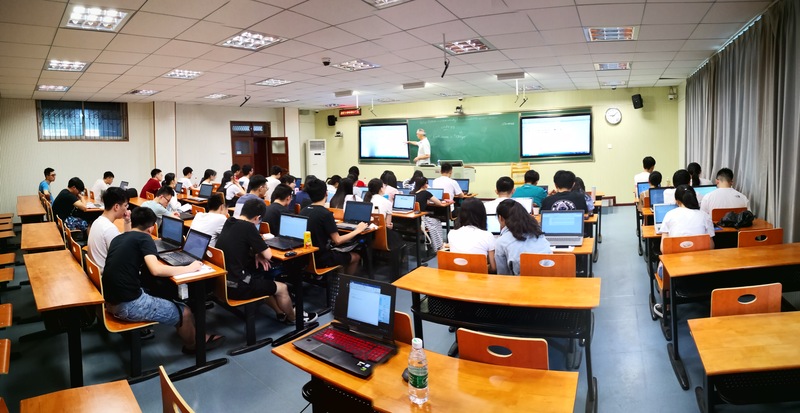 Firstly, all the teaching contents are well combined with basic theoretical knowledge and industry trends, which are close to current hot spots. Secondly, foreign professors would lead the students to raising questions on basic knowledge and problem-solving by means of heuristic teaching and problem-based teaching. Ingenious quizzes lead students to think seriously and cultivate their cognitive, analytical and innovative abilities. 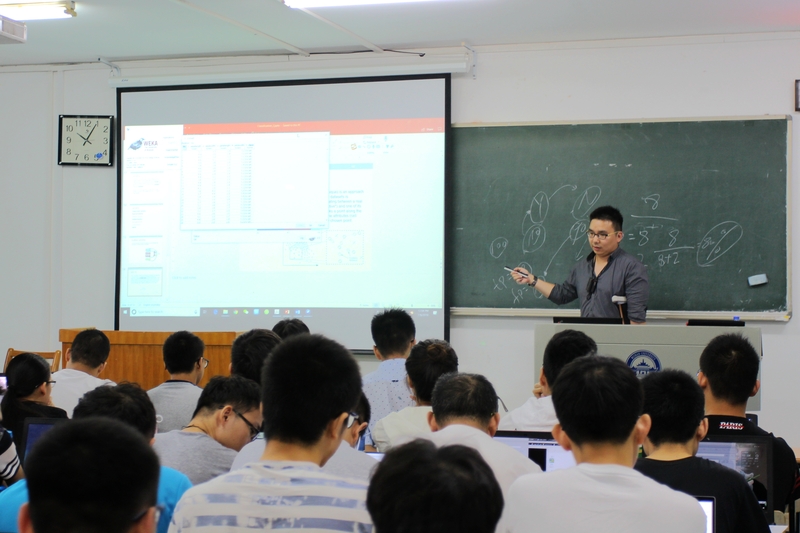 Finally, multiplicate examination forms make the assessment more comprehensive, and test papers with clearer structure are efficient for the construction of knowledge system. Course Names : ‘Reproducible Research with examples in Speech Classification’, ‘Advanced Data Mining Techniques’, ‘Embedded Systems Programming’, ‘RF Communication Electronics I’, ‘Advance Machine Learning’.